Australians are being encouraged to ask these questions and start conversations with elderly loved ones during National Advanced Care Planning Week this week. Now in its second year, the Government-funded, public health event is an initiative of Advanced Care Planning Australia and challenges all Australians, regardless of their age or health status, to make their future health care preferences known and consider who they would want to speak for them if they were too sick to speak for themselves. One National Advanced Care Planning Week ambassador, GP and Chair of the AMA Ethics and Medico-Legal Committee Dr Chris Moy says making informed choices about our care and planning ahead for future events in an important part of ageing. “We constantly hear about healthy ageing in the media, but too much of it is focused on the present. Advance care planning can provide clarity and certainty, rather than leaving it to others to decide for you,” Dr Moy says. Throughout the national awareness week, over 125 events, hosted by a mix of health and aged care organisations and community groups, will run across Australia aiming to raise awareness about Advanced Care Planning as well as provide practical advice and tools to help start the process. Hosted by New South Wales health care corporate Osana, one event, ‘What you need to know about advanced care planning’, will be run by HammondCare palliative care nurse Kelly Arthur who will describe and provide tips on how to approach the planning process. “Advanced care planning is a difficult conversation to have with loved ones. People often don't like to think about the end of their lives and are worried that it might distress their loved ones,” event organiser, Osana Clinical Director Dr Caroline Rogers says. Through Osana’s Advance Project, the organisation distributes brochures to patients giving ideas of the sort of questions they should be asking, and how to approach these conversations sensitively. Dr Rogers recommends to “start early and update often” when it comes to advanced care planning. “Don't be afraid to talk about advanced care planning. The more comfortable we all become about this conversation, the more people will benefit,” she says. According to Advanced Care Planning Australia, 85 percent of people die after a chronic illness rather than a sudden event and around half of all Australian will not be able to make their own end-of-life medical decisions. Staggeringly, only 15 percent of Australians have an Advanced Care Directive. Dr Rogers says planning for the future doesn’t need to be a stressful process. “Just because you are thinking about advanced care planning, it doesn't mean you are about to die!” she explains. Medical Director of Advance Care Planning Australia Dr Karen Detering is encouraging Australians to take the time to think about their future health preferences this week. 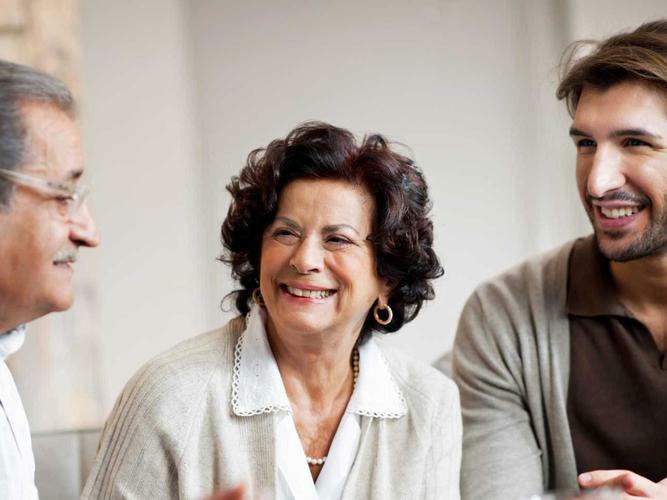 The National Advance Care Planning Week website offers downloadable resources for Advance Care Planning, including videos, personal stories and conversation starters, as well as relevant forms and events for each state and territory. There will also be information on how community groups can get involved and host their own event.